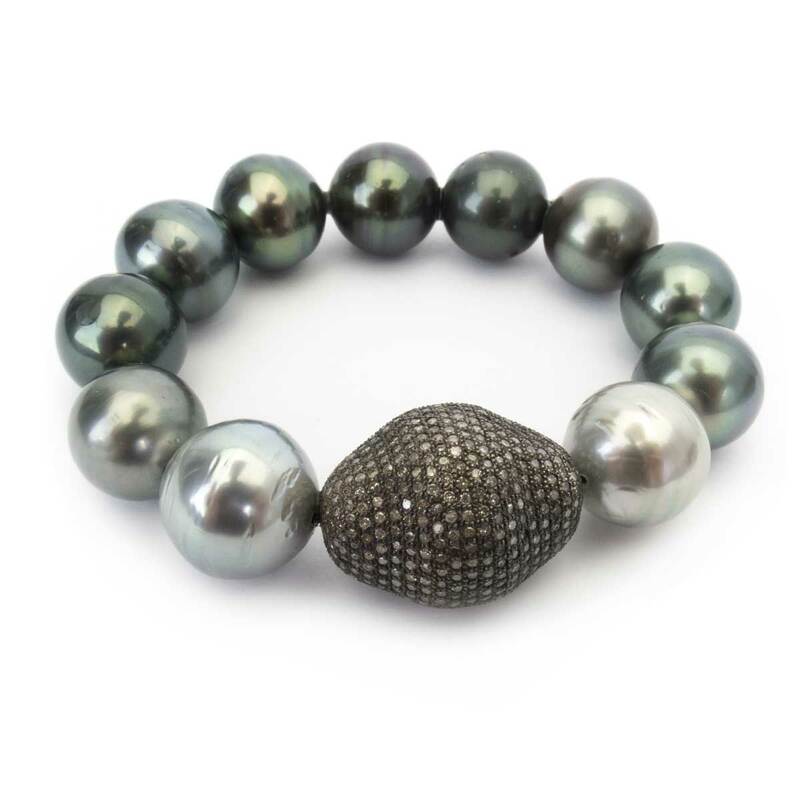 A sterling silver rock, encrusted in pave diamond, anchors this stretchy, slip-on pearl bracelet, which showcases the range of rare and lustrous gray Baroque Tahitian pearls. 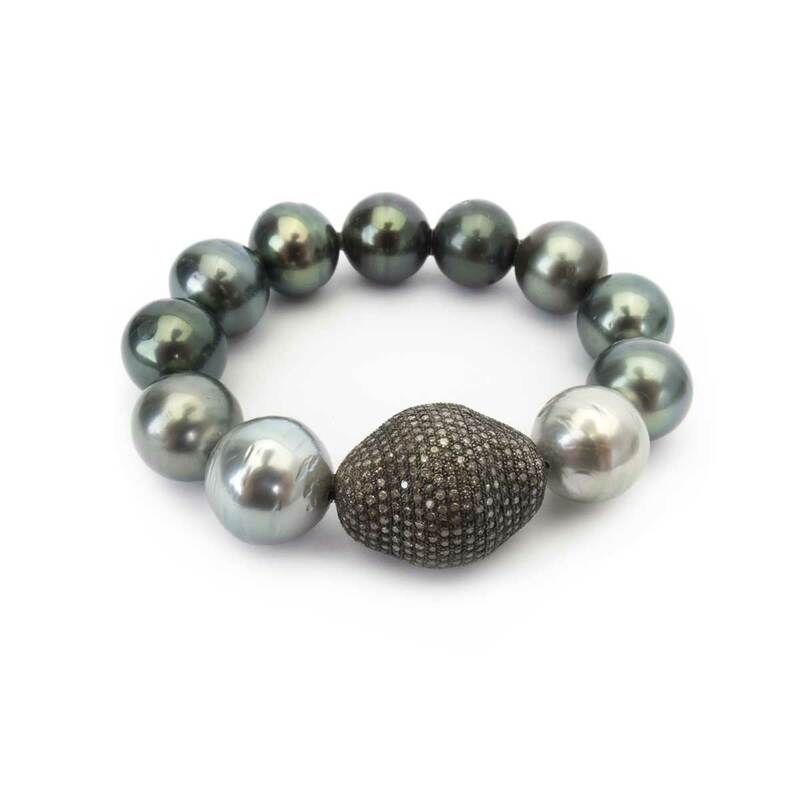 Slip on a slinky Samira 13 pearl bracelet to instantly elevate your look. They feel as silky and cool as they look.